Not many of us will make frequent calls overseas, so not many Business VoIP providers include unlimited international calling within their business phone plans. While all, if not most, providers do make it possible to place international calls, the process can be a bit more of a hassle than it’s worth. 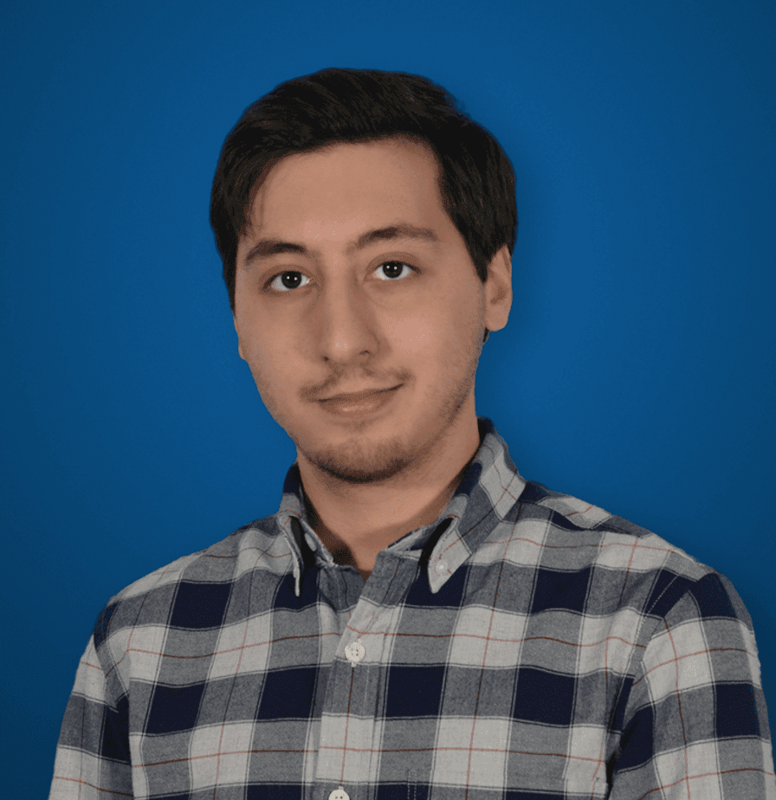 Sometimes the service is not on by default, and requires a support ticket – and we know all how long support requests can take – and some providers may even require a deposit to activate the functionality. Once the service is up and running, any international calls placed or received will generally not count in your unlimited minutes, but instead the calls are charged on a per-country rate basis, and often times these prices will differ drastically from country to country. And on top of that, to even find out how much you will be charged for each specific country can be a lengthy process of obtaining and digging through the extensive list of 200+ countries and their rates. Sometimes these calls are as cheap as less than one cent, and sometimes they can skyrocket to over a dollar a minute depending on the country. But we like to keep things simple, as do most business owners – and for those that have to call internationally quite often, this process just is not ideal. Thankfully, some providers have given the paradigm for international calls a second thought, and offer their own plans, or plan extensions to include unlimited international calls. Considered one of the leading Unified Communications providers by Gartner, and often compared to RingCentral, 8×8 is one of the go-to providers, especially when it comes to international calling. 8×8 offers both metered international calling, charged on a rate chart based by country, but also both Unlimited and Global extension plans that include free calls to landlines in specific countries. 8×8 Metered Extension option offers unlimited inbound calling, and 250 minutes of outbound calling to the U.S. and Canada, and +2.9 cents a minute after your limit. The Unlimited Extension Plan allows users unlimited calls to the U.S., Canada, Puerto Rico, Guam, the US Virgin Islands, France, Ireland, Italy, Spain and the U.K. If you require unlimited calling to even more countries, the Unlimited Global Extension Plan allows users to call 40 different countries, but this seems to be limited to only landlines. While a metered option might not be the best choice for those that make frequent international calls, 8×8 Unlimited and Unlimited Global extensions are the way to go. Feel free to head over to our 8×8 reviews page to see what verified customers have said about the service. The Unlimited Extension Plan allows calling to: US, Canada, Puerto Rico, Guam, US Virgin Islands, France, Ireland, Italy, Spain, and the United Kingdom. 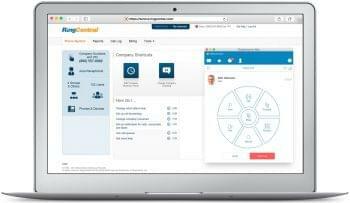 As one of the leading UC providers, according to Gartner’s 2016 Magic Quadrant, RingCentral offers a robust, and inexpensive entry point to adopting a VoIP solution for your business. Naturally, RingCentral has you covered when it comes to international calling as well. With all plans already offering unlimited minutes to the US and Canada, users can build of their existing plan and expand as needed. With the choice of two different add-on packages, RingCentral Global Office users for a local presence overseas, add-on additional international numbers for an extended presence, and add-on additional international toll-free minutes. However, if your business requires not only the ability to place calls internationally cheaply, but provide an international number for a local presence or even link up your overseas employees all to the same network. Unfortunately, most of your outbound calls will still be charged on a per rate basis, but RingCentral offers one of the easiest ways to setup a presence overseas, and does include unlimited inbound international calls, as well as toll-free outbound international minutes. You can also take a look out our RingCentral reviews page to see what verified customers have to say about the service. With their International Calling plan, Broadvoice trumps some of the competition by offering unlimited calling up to 87 different countries, depending on which plan you go with. Between three different International plans, Unlimited World, Unlimited World Plus, and Unlimited World Premium, Broadvoice tries to do away with those pesky pricing charts. Depending on what countries you need to frequently make calls to or from will dictate your plan choice. Starting at $19.95 a month, Unlimited World offers calling to 28 Countries, World Plus to 75, and World Premium to a chart topping 87 different countries. 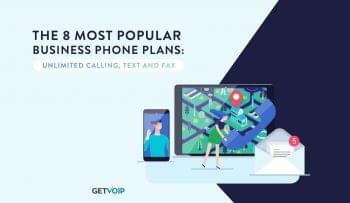 These plans all include unlimited inbound calls to your number, and of course all the great calling features common in business VoIP solutions. For those calls that need to be made to countries outside of the included list, Broadvoice does still offer calling to every country in the world, with different rates. So if your budget only allows the 28 countries, but you need to call one not included, users can still call other countries with their own specific rates. Our Broadvoice reviews page contains exclusive verified customer reviews to learn more. Almost everyone recognizes the name Vonage. As one of the original leading VoIP providers, Vonage offers both robust residential and business VoIP solutions, and now even extends the offerings to unlimited calling around the world. With the Vonage World plan, users can make and receive calls on your home phone to 60 different countries, which may not be at the top of our list, is still certainly one of the best options available. In a slightly unique spin, Vonage’s World plan even allows users to make international phone calls from two different smartphones when taking advantage of the Vonage mobile app. 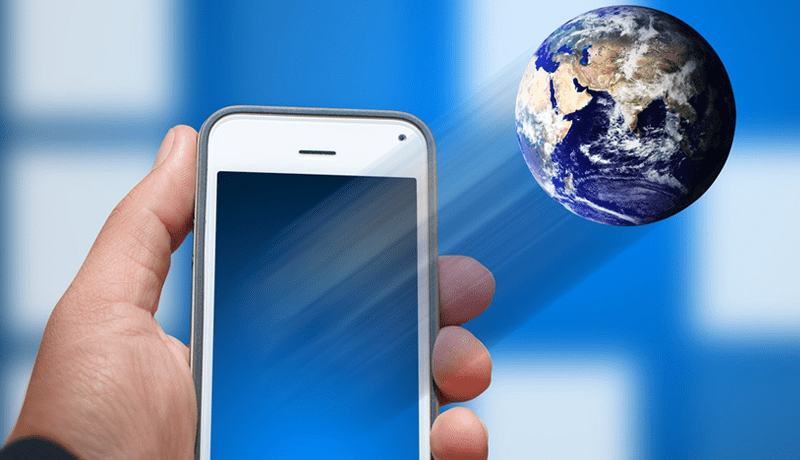 While the list of countries that allows mobile calling is a bit shorter than the 60 countries for land line calling, the list does include countries like Canada, China, Guam, Hong Kong, India, Malaysia, Puerto Rico, and South Korea with a few others. Vonage also keeps the pricing nice and simple, with a 6-month promotion option for only $9.99/month for the first six months of service, or $27.99 a month with no annual contract and free activation. Our Vonage Business reviews page can offer more insight on what verified customers experienced with the service. Previously known as Thinkingphones, and now known as Fuze, the UC provider shaken the industry up a bit, moving to become one of Gartner’s leading providers. Fuze applies a strong focus on fixed-price calling to all of their plans, including single country fixed-price calling, which allows for unmetered calling into one selected country – which is a great solution for customers that only do business with one other international country and only require calling to one other country without breaking the bank for a more expensive, and extensive international plan. Fuze also offers US & Europe fixed-price calling for the US, Canada, Puerto Rico and 17 European countries, and for those that make calls all around the world, an International fixed-price calling plan. The international plan absolutely dominates alternative solutions with unmetered, unlimited calling to over 100 countries across the world. To accompany their international offerings, Fuze has expanded their network to include new data centers in Europe, and added support for the Asia/Pacific market with more data centers in Singapore, Hong Kong and Sydney, Australia. Have any experience with Fuze? Feel free to head over to our Fuze reviews page to share your experience. 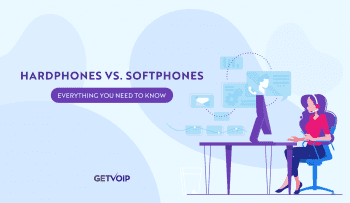 One of the lesser known players, VoIPStudio was also considered on our list for Ooma Office alternatives for their inexpensive yet solid introduction to VoIP. With the VoIPStudio International plan, for $39.99/month per user, each specific user on your plan can make 2000 minutes worth of calls to 24 different countries, but not only landlines – even mobile phones within these countries can be called as well. The international plan does allow for unlimited, free inbound calls to your numbers as well. On top of that, VoIPStudio will also throw in a free, inclusive geographical number for each specific user on your plan so all of your phone calls can come from the same country, or strategically divided amongst lines, can offer one or more local presence number in more than one country at a time. All of this also comes with 24/7 technical support, virtual numbers in over 50 countries and 4,000 cities. Plans can also be customized for teams that have more than 100 users to truly offer a tailored fit.